The Normans (also called Northmen or Norsemen) were the descendants of the Scandinavian Vikings who raided the European coastal settlements at the outset of the 8th century. Despite the Norman's conversion to Christianity and their adoption of Frankish way of life, the Normans retained many of the traits of their Germanic ancestors. 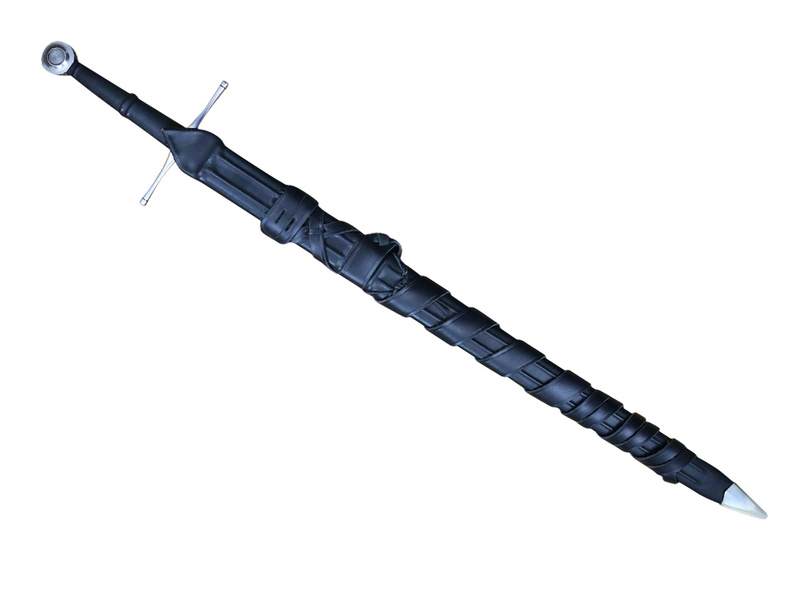 This particular sword is one of DSA’s newer swords; massive and strong yet not so heavy as some of their earlier models. The dual tempered 5160 Spring Steel blade (HRC 60 at the edge, 50 at the core) blade has an attractive fuller and is shapely and well designed. 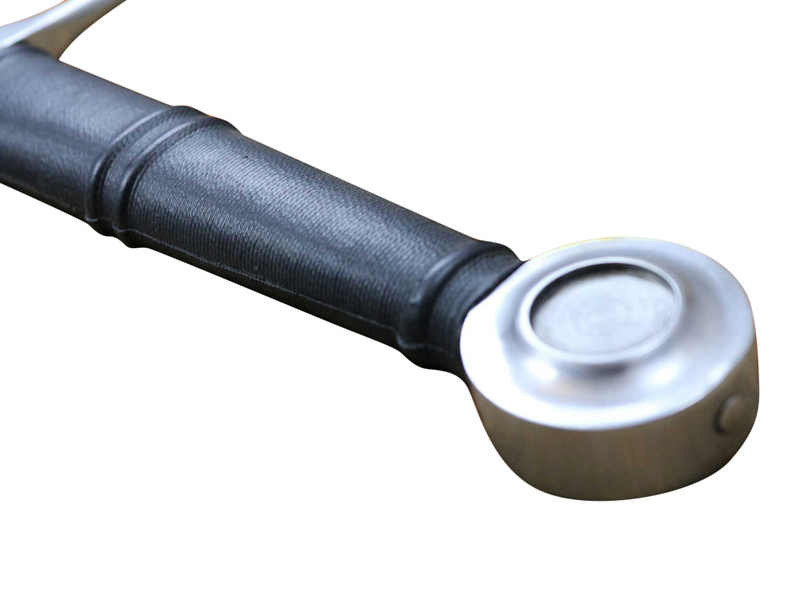 The hilt itself is extremely attractive and authentic, with a mild steel crossguard and genuine leather wrap over oak handle. 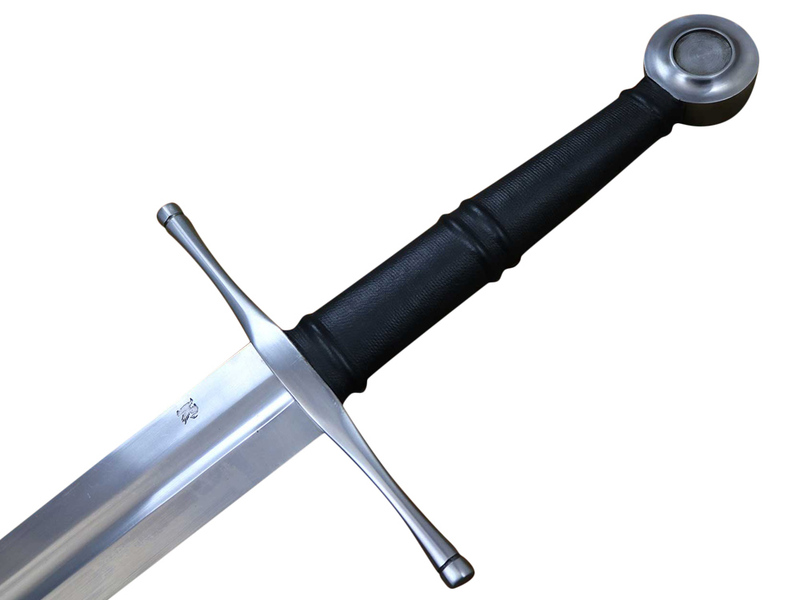 The Norman, classified as type XI by Oakeshott's typology, is fitted with a wheel pommel and straight guard – PEENED for maximum hilt durability. This sword is historically tied to the Normans because of its frequent appearance in the Bayeux Tapestry: an embroidery that depicts the Norman Conquest. It will be of particular interest to people interested in British history and especially those who trace their ancestry to the Norman invasion. 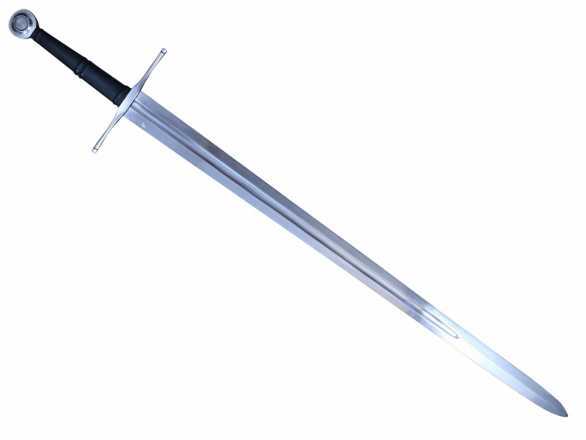 At 3 lbs 2oz this sword is a heavier version of a two handed sword, and the high point of balance (at 6.5”) makes it tip heavy and therefore a powerful chopper. Not for the faint of heart! Best sword I've ever bought hands down . More beautiful more duribile more functional this sword beats all the other cheep midevial sword knock offs by the same or some cases cheaper then others found on the enter net. From now on I'm only using sword buyers guide for my purchases on the enter net.